A wife and young mother with terminal breast cancer share the raw edges of dying with grace, dignity and a sense of humor. 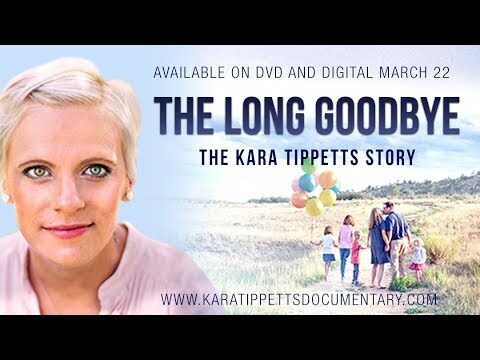 In this film we follow along with celebrated author and blogger Kara Tippetts, as she navigates through our greatest fear - suffering and dying. As a happily married pastors wife with four wonderful kids, a terminal breast cancer diagnosis wasn’t the storybook ending she would have written for herself. Kara helps us realize that time is precious, and through her incredibly honesty and ever-present humor she reminds us that life is truly a gift. Comparable Title: "To Joey, with Love"
Part 1: Ann Voskamp - 20 min. Part 2: Joni Eareckson Tada - 20 min. Part 3: Joanna Gaines - 14 min.